To stand out from the more than 250 million active blogs, you need consistently remarkable content. What you publish must not only be high-quality but also meet the needs of your readers by answering important questions, make an emotional connection, be credible, be fresh, and compel readers to take action. Short of giving up sleep (or something equally impractical), how are you going to do that? One key strategy is “expert sourcing”—supplementing your own original content with input from experts and influencers in your industry. These are most commonly other bloggers, and may include authors, industry analysts or consultants, journalists, and your own customers. 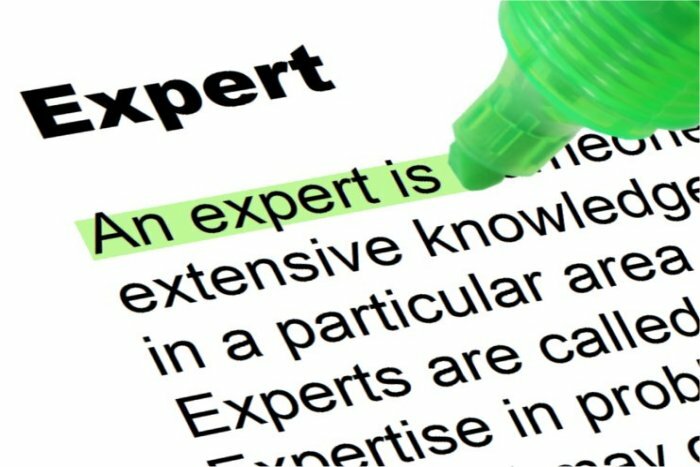 Expert sourcing content not only saves you some of the effort of creating original content, but also bring new knowledge and perspectives to your audience while helping you and your brand build valuable relationships (to facilitate, for example, the types of outreach outlined in the post Influencer Marketing on Any Budget). It’s likely to increase brand mentions and sharing of your content across social media networks, as well as your visibility in search. Here are five practical ways to use expert sourcing to supplement your own content development work. This has multiple benefits. In terms of productivity enhancement, you get two pieces of content while only investing your time and effort in one. The guest post adds interesting insights to your blog. Meanwhile, your content reaches a new audience, your brand increases its online visibility, and as a bonus you may even get some modest SEO benefit. For example, enterprise event management software vendor G2Planet has employed this tactic successfully with authors like Dave Sutton, Kate Athmer and Michael Brenner. You can produce a valuable piece of content fairly quickly by inviting experts in your industry to respond to one or a few questions via email, then combining those in a roundup post. Recent examples include 48 Experts Share Their Top SEO Predictions for 2018 by Shane Barker, and Sales and Marketing Alignment: 45 Experts Explain How To Connect The Dots on the SnapApp blog. Like guest posts, expert roundups have multiple benefits: they help your brand build relationships with influencers, save time (increase productivity) in content production, provide smart new perspectives for your readers, and often generate significant social sharing (most contributors are happy to share posts quoting them as an “expert”). Generally, the top “A list” influencers in an industry have little interest in guest posts (they get paid for those) or being part of expert roundups. That doesn’t mean you can’t feature their voices, however. Give them the attention they’ve earned by orienting your influencer outreach around a one-on-one interview. Give the influencer the option of responding to questions via email or through a recorded interview (via phone or Skype). For example, HR software vendor Branch Messenger has used this approach to publish thoughts from top HR experts like Steve Browne and Meghan Biro. Recording the interview lets it do double duty: you can publish excerpts from the transcript in a blog post and edit the recording into a podcast, as Matt Heinz has done with leadership development expert Deb Calvert and software entrepreneur Mark Granovsky. Your sales prospects place far more trust in what others say about your brand than about what your marketing department says. Customer stories are valuable in and of themselves as well as being easy to repurpose as blog posts, videos, podcasts, presentations, and even research sources for infographics. And no one is more of an expert about the real-world value of your products and services than an active customer. Consistently creating high-quality content is challenging, but it doesn’t have to be your challenge alone. Use these way tactics to produce more, useful, content with less effort. Expert sourcing enables you to deliver fresh ideas to your audience while building relationships and expanding your online visibility. Image Credit: Nick Youngson Creative Commons.